Today, today was the day. The hubby and I tackled the garage. The one that was piled high with stuff when we moved in last summer. I wanted to do a clean sweep, I wanted the useless half full bottles and cans GONE. But first we had to move in. And then the garage was full of stuff that didn't quite get moved in. We got that fixed when the snow came. But then it was too cold. And then too hot. And finally, like Golidlocks, it was just right. 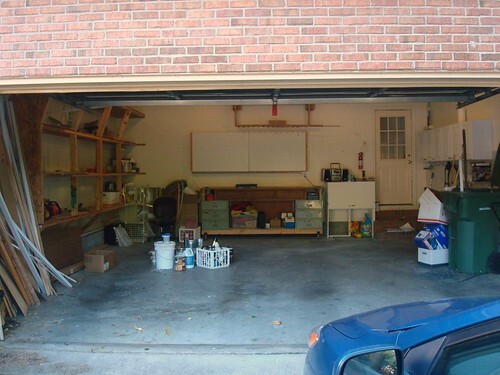 In less than three hours we had sorted, organized, cleaned, and claimed that garage. Fifteen months, two weeks, and three hours.